Definition of comfort food? The classic grilled cheese sandwich: hot, gooey cheese tucked between two slices of crisp, buttery bread. At Smokey Mo’s BBQ, it’s been on our menu since the get-go and is still a daily delight. The ancient Romans, circa 8thcentury BC, are touted as the first civilization to create a cooked-bread-and-cheese-type sandwich. The French version of the grilled cheese sandwich – made of ham and Gruyere cheese and fried in butter – first appeared on a Paris menu in 1910. In the U.S., the grilled cheese sandwich became a household staple in the 1920s, when sliced bread and cheese were suddenly affordable. Typically, the sandwich was prepared open-faced and topped with shredded American cheese. The term at the time was “melted cheese” or “toasted cheese” sandwich. In the 1940s, during World War II, Navy cooks prepared endless “American cheese filling sandwiches” for the troops. Again, these were typically served open-faced, with one slice of bread topped with grated cheese. The second slice of bread became a standard part of the sandwich in the 1960s, when supermarkets started stocking Kraft Singles. The name “grilled cheese” emerged. In 2006, American competitive eater Joey Chestnut devoured 47 grilled cheese sandwiches in 10 minutes! In 2009, Los Angeles hosted the world’s first grilled cheese cooking competition. Thousands of people took part in the National Grilled Cheese Invitational, which is now an annual food festival. Today, Americans consume more than 2 billion grilled cheese sandwiches a year. 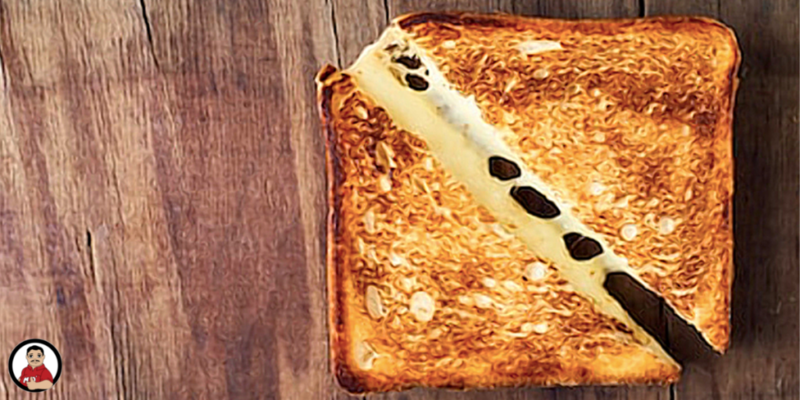 Kids and grown-ups alike love Smokey Mo’s grilled cheese sandwiches. So stop by one of our 16 central Texas restaurants and grab one for yourself and the kids. And while you’re with us, check out all the other items on our menu, from delectable meats and delicious side dishes to an array of dreamy homemade desserts. Get on the fast track to happiness. At Smokey Mo’s, every bite’s a thrill! Previous Post BBQ Grilling Tips and Tricks from Smokey Mo’s Next Post Treat Yourself to a Half-Price Dessert on Tax Day!